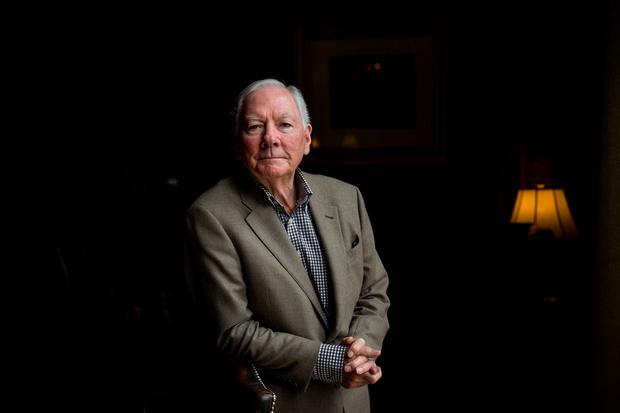 Gay Byrne says he was belted and thumped by the Christian Brothers for one reason or another at school in Synge Street in the 1940s, but he is grateful to the order for giving him an education. “The positive aspect of the Christian Brothers is that without them, people of my background would not have received any education of any kind. “The question of fees was never mentioned. Every quarter or so, an envelope was sent home via each pupil, and then sealed and brought back. “I know that there must have been a good few guys in my classes whose families could not afford to put anything in the envelope. Nobody was put out of the school because their parents could not afford the fees. “They gave us a good all-round education. The compulsory Irish was a bit of a bugbear, but they were obliged to follow it. “The downside was corporal punishment for disobedience of any kind, or things like not turning up with your exercise book. “If they wanted to hit you on the head, they used the hand. They used the leather for slaps on the hand — four of the best, or six of the best. “They were rough and they were tough, and they all came from the same rural, uneducated background. And of course, they were recruited as Christian Brothers at a disgracefully young age. “After the Inter Cert, I decided I wanted to leave because I was fed up with being thumped around the place. “As a bribe, my mother and father bought me a bicycle, which was the first bike I had.